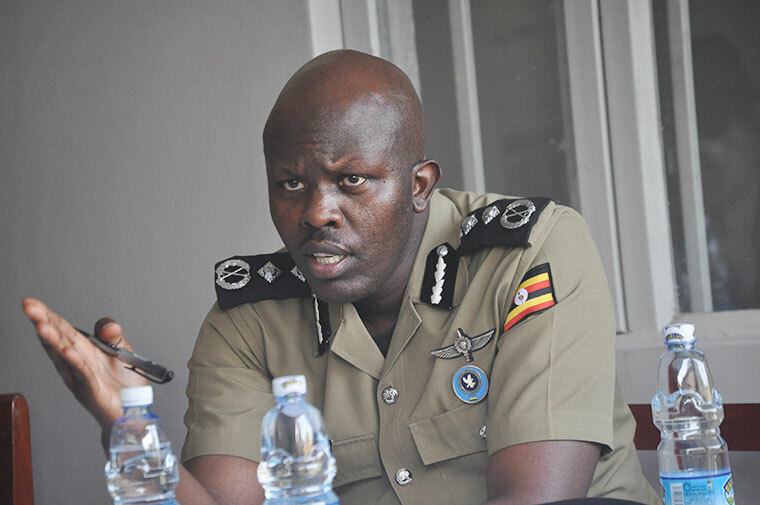 The inspector general of police (IGP) Okoth Ochola has dropped commissioner of police Frank Mwesigwa as commander Kampala Metropolitan Police (KMP) and appointed him to head Tourism Police in a major reshuffle involving 96 senior officers. Mwesigwa, who was an acting assistant inspector general of police (AIGP) is replaced by Moses Kafeero who has been the head of the Police Senior Command and Staff College, Bwebajja. Frank Mwesigwa Mwesigwa, one of the best trained counter terrorism officers in country, took over as KMP commandant in July 2016 and has been at the centre of managing demonstrations in the city. He joined the force in 2007 and was deployed in the Counter Terrorism department where he worked for more than seven years until he was appointed KMP commander. Kafeero is now replaced by Lawrence Niwabiine, who is most remembered for his role as the KMP traffic commander before he was sidelined by the former IGP Kale Kayihura in 2016 under unclear circumstances. At the time Niwabiine was dropped, former prime minister Amama Mbabazi was contesting for the presidency against President Yoweri Museveni. Niwabiine is married in the Mbabazi family something that many thought at the time could have influenced Kayihura's decision. The police spokesperson Emilian Kayima has confirmed the transfers saying the appointments are normal. "The language of dropping is not appropriate. CP Mwesigwa has been assigned new roles. He will now head the Tourism police, a key police department and is replaced by CP Moses Kafeero Kabugo," Kayima said. The transfer comes at a time Mwesigwa is implicated for his role in the policing of demonstrations during the controversial amendment of the Constitution by MPs last year, in which they lifted the presidential age limits and also extended their term of office by an extra two years. The amendments are currently under Constitutional court review at the Mbale High court. In the same massive reshuffle, Ochola transferred and appointed 96 senior police officers. The reshuffle which affects all directorates and departments of police will now see senior commissioner of police (SCP) Geoffrey Khombe become the new director of Counter Terrorism to replace John Ndugutse who was recently appointed the police attache to Uganda's embassy in Kenya. Khombe will be deputised by William Omoding who has been the commandant Tourism Police. Omoding has been replaced by Frank Mwesigwa, the former commandant Kampala Metropolitan Police. SCP Charles Agaba has been appointed the deputy director Crime Intelligence, while former commandant professional Standards Unit Fortune Habyara is transferred to the directorate of Crime Intelligence. Former police spokesperson Fred Enanga has been moved from the Political Commissariat and appointed the Criminal Investigations Directorate (CID) in-charge Administration and Training, while Polly Namaye is appointed the acting commissioner in-charge information and publications. Edwin Gumisiriza who has been the in-charge Administration and Training CID is now appointed the deputy director Peace and Support Operations to replace Herman Owomugisha who is now the new commandant Very Important Person Police (VIPPU). Owomugisha is to be deputised by Moses Orals who had been in the Directorate of Welfare and Production. Ashram Chemonges has been dropped as Regional Police Commander Kigezi region and replaced by Richard Elega who has been the head of Evade Police Training school.